Vines are 65-70 years-old, which produce a minerally-laced wine with sweetness and length. Les Charrièrres is lean and shows citrus. The Lequin family comes from a long lineage of Burgundian producers; their presence in Santenay dates back to 1679. 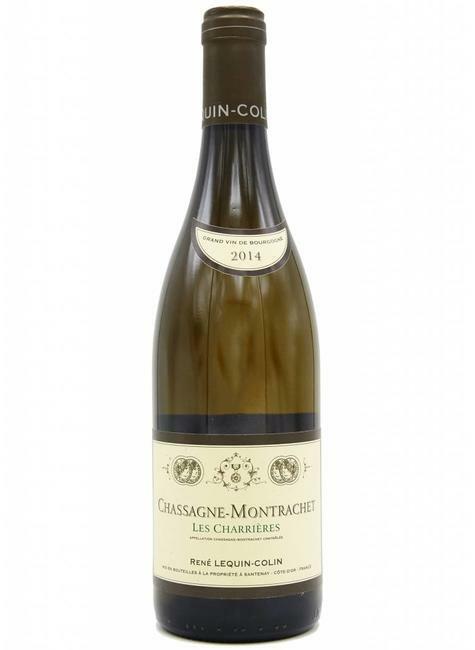 The first vintage of Lequin-Colin arrived in 1976, a few years after the marriage of René Lequin and Josette Colin, a descendant of a long lineage of wine makers from Chassagne-Montrachet. Today, their son François looks after the 9 hectares of vines stretching across Santenay, Chassagne-Montrachet, Pommard and Corton. Devoted to authenticity and quality, the Lequin-Colin vineyard has been ploughed since 1997 and organically farmed since 2009. Their meticulous methods in the vineyards and winery yield perfumed and full bodied wines that can be enjoyed young expressing fresh fruit aromas, or cellar aged for more powerful matured flavors.